Toronto, ON – Show One Productions is proud to present Israel’s internationally acclaimed Gesher Theatre in the North American debut of its spellbinding production, S. Ansky’s The Dybbuk, or Between Two Worlds, Saturday, September 29, 8 p.m., and Sunday, September 30, 3 p.m. at the Elgin Theatre, 189 Yonge Street, Toronto. The company’s visit celebrates the 70thanniversary of the State of Israel. It also marks the Toronto return of the troupe of Russian émigré and Israeli actors for its fourth Toronto visit, after a 10-year absence. Following the Toronto engagement, the company will tour the production to New York City. The Dybbuk takes audiences on a mesmerizing journey through Jewish folklore and the spiritual world. Blending comedy and tragedy, mysticism and psychology, the evocative work is awash in spectacular imagery, rich emotion, and theatrical magic. Written in Russian in Moscow, 1913-16, and subsequently performed in Yiddish, Hebrew and other languages around the world, The Dybbuk tells the story of Hanan, a poor, young yeshiva student, deeply involved in the Kabbalah and in love with Lea, daughter of one of the town’s richest men. Learning that Lea is about to be married, Hanan dies of a broken heart. However, he finds himself caught between two worlds, neither dead nor alive. His restless soul returns to Lea on her wedding day, possessing her as a dybbuk – a malicious spirit – and halts the wedding. During the ceremony of exorcising the dybbuk, the dark secret of Lea’s father comes to light. Old motives are still present in this modern adaptation by Roee Chen, an Israeli playwright and director of Sephardic background. Chen skilfully blends comedy with tragedy, and has mysticism confront psychology to create an engrossing, multi-faceted theatrical experience. The production is directed by Yevgeny Arye, the visionary founder and artistic director of Gesher Theatre. Born in Russia, Arye was educated in both psychology and theatre, and worked for years as a director of leading theatres in Moscow, St. Petersburg and Riga, and also as an associate professor at Moscow`s Russian Academy of Theatrical Arts. In 1991, he immigrated to Israel with a group of Russian actors and founded Gesher Theatre. As its artistic director and the moving spirit behind it, he has led the company to prominence in the Israeli cultural scene and internationally, receiving numerous awards and rave reviews for productions mostly under his direction. His outstanding achievements have earned Arye honorary doctorates from the Hebrew University of Jerusalem, the Weizmann Institute and Bar Ilan University. Two stars of stage and screen head the cast of 25 – Tashkent-born Israel Demidov, as the yeshiva student Hanan, with Israeli-born actor and singer Efrat Ben Zur as Lea. Superlatives greeted this new production of The Dybbukwhen it was unveiled in 2014. Israeli media called it “a masterpiece”, “the biggest theatrical event of the year” (Mako);“a powerful and astonishing show that enchants the audience…surprising, rare, alive and kicking” (Yermi Amir); “(Efrat Ben-Zur) is the first lady of the Israeli theatre” (Calcalist). 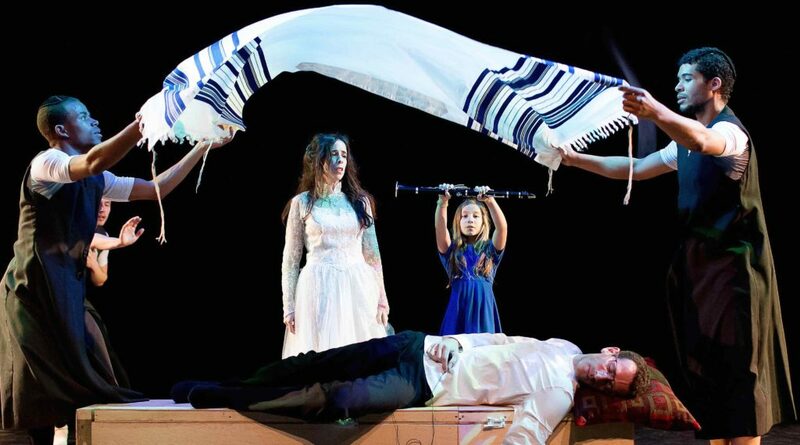 Apart from 2014 performances in Moscow, the 2018 North American tour – which includes Toronto – is Gesher’s first presentation of The Dybbuk outside Israel. Formed in 2004 by Svetlana Dvoretsky, Show One Productions is a full service production company presenting concerts with high-profile classical musicians, opera stars, and orchestras, as well as great dance and theatre companies, in Canada’s most prestigious concert halls. 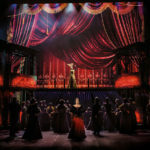 Show One’s recent presentations include a sold out run of Mikhail Baryshnikov’s production Brodsky/Baryshnikov;the opera gala Trio Magnifico, featuring the late Dmitri Hvorostovsky and the Canadian debut of Anna Netrebko and Yusif Eyvazov; multiple presentations of St. Peterburg’s Eifman Ballet; multiple presentations of The Vakhtangov Theatre with acclaimed productions of Uncle Vanya, Eugene Oneginand Smile atUs, Oh Lord (written by Israeli author Gregory Kontorovich); and The Casanova Variationsstarring John Malkovich; as well as the hugely acclaimed project Yiddish Glory, which has received widespread media coverage in Canada and abroad. Saturday, September 29, 2018, 8 p.m.; Sunday, September 30, 2018, 3 p.m.